Selection of participants will be based on a whole paper or on one- or two-pages extended abstract. Papers must be unpublished at time of submission. 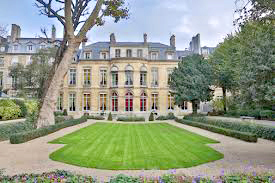 The conference will take place on 30th and 31st may, 2011 at the Maison de l’Amérique Latine. The Conference will start on Monday 30th at 9.00 am and end on Tuesday 31st at 6.00 pm. Participation to the Conference is not limited to speakers. You can attend the conference as listener. Registration fees cover lunches and gala dinner as well as Conference materials and coffee breaks.